The iPod Touch by Apple Inc. is the latest entrant among iPod devices. Able to perform a host of interactive and entertaining functions, the iPod Touch requires the best developer for quality iPod Touch Application development. It not only serves as an entertainment medium but also a tool to promote your business and generate revenues through the target users. At iPhone Application Development India (IADI), we provide a wide berth for iPod Application development and passionately create app that fits the requirement criteria of our clients. 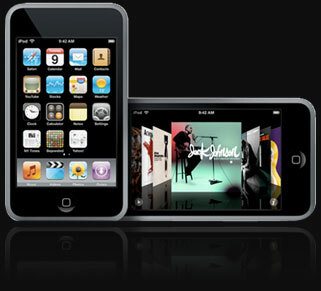 Our iPhone Application Developer materializes your ideas into robust app for the iPod Touch platform. Adept in programming various types of apps for the iPhone and MAC OS X platforms, they are proficient in developing a plethora of apps under iPod Software Development. Hire iPod App Developer from us, skilled in various iPhone technologies and creates custom outstanding iPod Touch app under iPhone App Development.